This post is about well…delineator posts. If you stumbled upon this hopefully you don’t know what one of these is, because I will describe it here. When trying to describe a delineator post to someone quickly, I tell them it’s like a tall traffic cone. This is true because it is taller than a traffic cone but false because it’s a lot skinnier and doesn’t have a cone shape – instead it has a ‘post’ shape. They are used to ‘delineate’ traffic meaning they direct cars based on their layout, basically they create temporary lanes. Colors can range from orange to white to yellow but the most common are orange. They average around $20 each which is higher than most would guess. What exactly are delineators posts? They are similar to traffic cones except they are skinny and tall making them easier to be seen by cars. 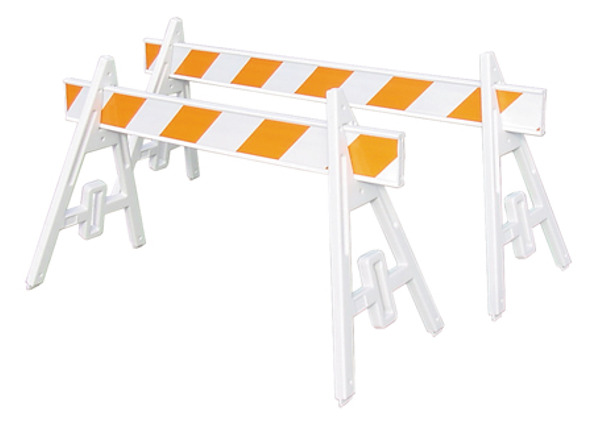 Delineators are used to ‘channelize’ or direct traffic into a certain zone, or to keep it out of a certain zone in the case of a road construction site. There are multiple brands of delineator posts, and depending on what style you want, you may have to commit to the brand that produces that style. There are T Top Delineators which have a handle at the top. There are also Ringtop Delineators which also have a handle, but it’s more of a rectangular handle. Then there are standard Open Top Delineators which don’t have a handle so they are just flat or open at the top. During highway construction projects, the route for cars and other vehicles is constantly in flux. Not only is this frustrating for those behind the wheel, but it can also cause headaches for construction crews who constantly have to change the location of cones and barriers. Fortunately, several pieces of equipment can help crews deviate the flow of traffic with ease. One of the most indispensible pieces of traffic safety equipment is the basic delineator. These posts are available in several different sizes, which makes them ideal for large freeways and small cross streets alike. Due to their unique design, delineator posts can effectively alter the flow of traffic without inflicting any damage on the vehicle in the event that they are hit.